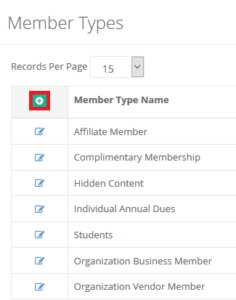 After you import your membership data into AMO, you may need to add an additional member type and connect it to an individual or organization. 4. 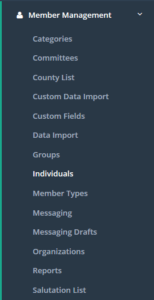 Under “Group” select Individual or Organizational. 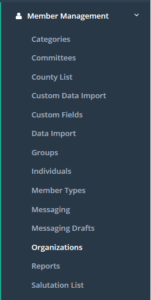 Now that you’ve configured your individual member type, it’s time to tie it to an individual member. 1. 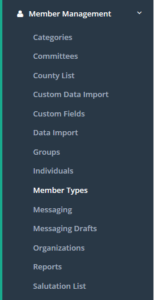 Navigate to Member Management >> Individuals. 1. 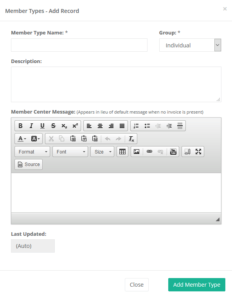 Navigate to Member Management >> Organizations.